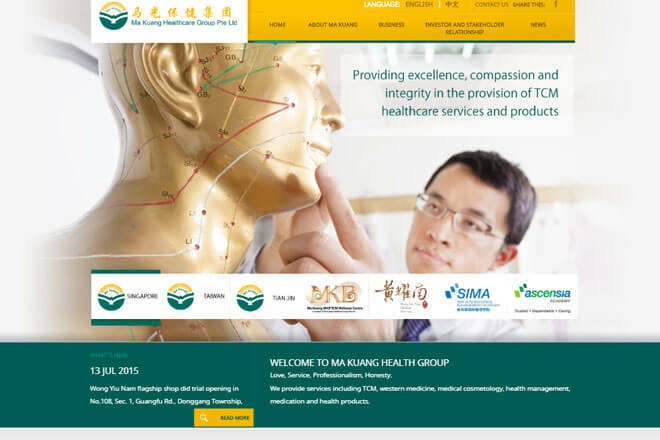 Ma Kuang Healthcare Group was founded in 1990 in Penghu County, Magong City, Taiwan, hence giving “in the glory of Magong” as its name. Ma Kuang, Singapore was established in 1999 and Tianjin in 2010. In terms of operation number of institutions and treatment efficacy Ma Kuang Healthcare Group is one of the leading medical provider in the region. 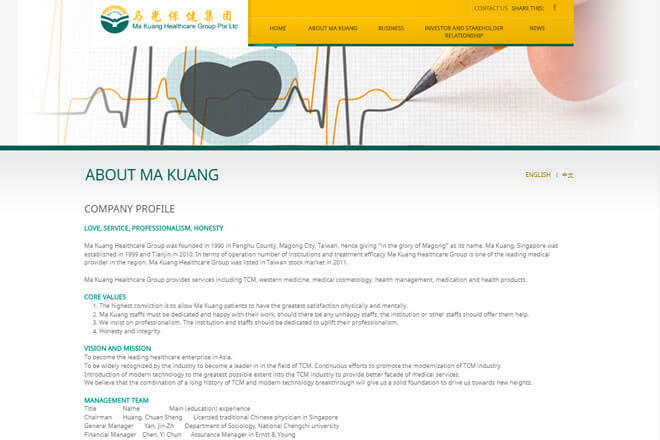 Ma Kuang Healthcare Group was listed in Taiwan stock market in 2011.